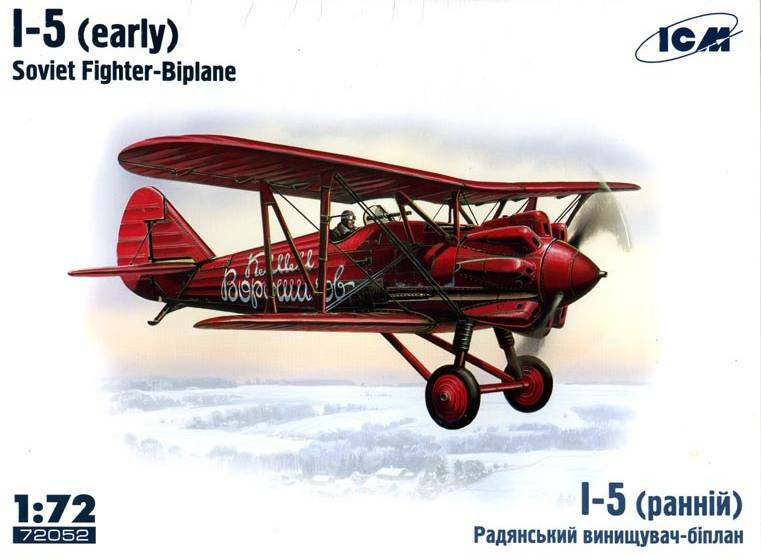 We are happy to introduce an in-box review of new ICM kits: Soviet biplanes of early- and mid-30s - Polikarpov I-5. 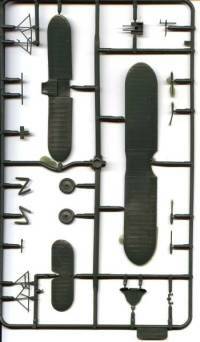 ICM released two kits of this important biplane: early version with Gnome-Ron Jupiter engine and later version with Soviet-built M-22 engine. Well, it's time to open boxes. 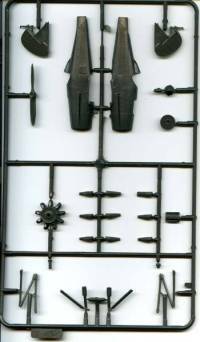 You will find two sprues of dark-green plastic. 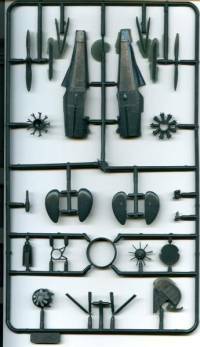 One of the sprues with wings and horizontal stabilizer details (as well as some smaller parts) is common for both kits. However, the second sprue is completely different nad is unique to each of the models. It contains fuselage halves, landing gear struts and other small details. The third sprue contains clear parts for the canopy windshield and navigation lights. Plastic contains very little flash, which is absolutely no problem to remove. There are no sink marks. Surface details are exceptional and contain very fine rivets, hatches, raised panels (where appropriate). Fabric effect is very well done. The heritage of previous ICM models, such as I-15 and I-16 is evident. For example, engine assembly for I-5 (regular) reminds the one from I-16. Measurements of the wing shows that everything is well on the scale front: 9.65 m translates into 134 mm - perfect match. 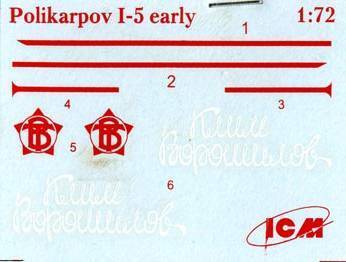 Instructions are done in a typical ICM manner - easy to read and follow. Regular I-5 is represented in markings of Moscow Military District Air Forces chief I. Pavlov, 1932, as well as much less attractive markings of the unknown unit during summer 1941. 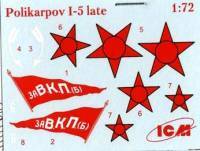 Early version of I-5 shows personal mount of the Red Air Forces Chief Yakov Alksnis - red aircraft with "Klim Voroshilov" inscription on the sides. 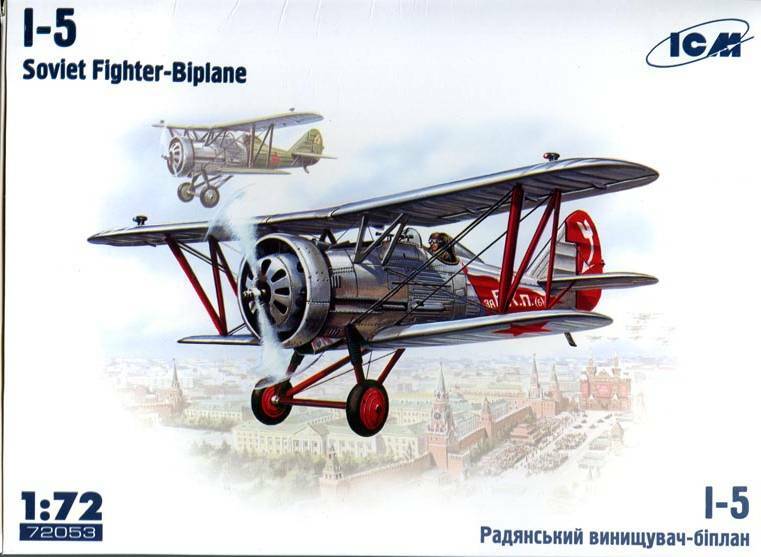 New models of important mass-produced biplane of the golden era were long awaited and I have to conclude it was worth waiting for them. These are outstanding models that will add greatly to a collection of any fan of propeller-driven machines. ICM should be congratulated with another great success.